Why would I need self storage in Altamonte Springs, FL? There are a variety of reasons why you might need self-storage in Altamonte Springs, FL. How much is a storage unit in Altamonte Springs, FL? The cheapest storage unit in Altamonte Springs, FL is $24.00 per month. What size storage units do you have available in Altamonte Springs, FL? In Altamonte Springs, FL we have sizes that range from 3'x5' to 10'x40' to suit your storage needs. How much is it for a 3'x5' storage unit in Altamonte Springs, FL? The cheapest 3'x5' storage unit in Altamonte Springs, FL is $24.00 per month. Orlando is well-known for its major attractions such as Disney World and Universal Studios, but it's also popular for its many desirable suburbs. Altamonte Springs is among Orlando's top suburban communities, located only about eight miles from the city. Though one of the biggest benefits of living in Altamonte Springs is the close proximity to Orlando, you'll find that there's plenty to enjoy within the community as well. The abundance of available entertainment and outdoor recreation are just two of the factors that make Altamonte Springs a desirable Florida suburb. Thanks to a strong tourist industry, job growth in the area is promising. As a resident, you'll also enjoy a short average commute and fairly affordable housing. For these reasons and more, Altamonte Springs has been named Orlando's best suburb by USA Today. One of the city's most popular attractions is the Cranes Roost at Uptown Altamonte, which hosts a dynamic water and light show. 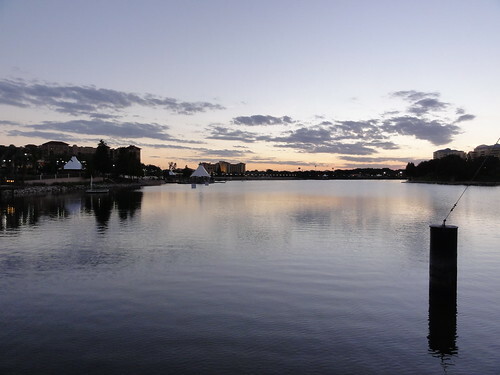 The city also has a scenic lakeside park, weekend nightlife and the Altamonte Mall. The Seminole County Public School District manages the public schools in Altamonte Springs and its neighboring communities. You can also enroll your child in one of the community's numerous private schools, which include both secular and religious campuses. If you're planning to pursue your college degree, you can attend the local campus of Seminole State College of Florida. Or you can take advantage of the short drive to the University of Central Florida and Rollins College. Utilities: Altamonte Springs' primary utilities providers are Altamonte Electric Authority, Florida Public Utilities and the City of Altamonte Springs Water Distribution Division. Garbage and Recycling: You can expect trash collection twice weekly, while yard waste and recycling pick-up occurs on a weekly basis. Transportation: Public transportation options in Altamonte Springs include the Lynx bus service and the SunRail commuter rail. The median home price in Altamonte Springs is just below the national average, and the diverse market provides many options to fit all styles and budgets. If you're hoping to find something affordable, consider a compact condo or apartment. However, if price is not an issue, you can look at one of the area's gated communities, which feature spacious homes and amenities such as swimming pools, security and well-maintained landscaping. Our lowest priced units in Altamonte Springs, FL average $65.54 per month. 517 people have reserved units in Altamonte Springs, FL in the past 30 days. There are 13 locations within Altamonte Springs, FL's city limits. There are 8 locations in Altamonte Springs, FL that offer AC and Heating features.